What kind of steel is the Busse made from. INFI - it is the in-house propriety steel Jerry developed and has used for years now. Busse proprietary steel. 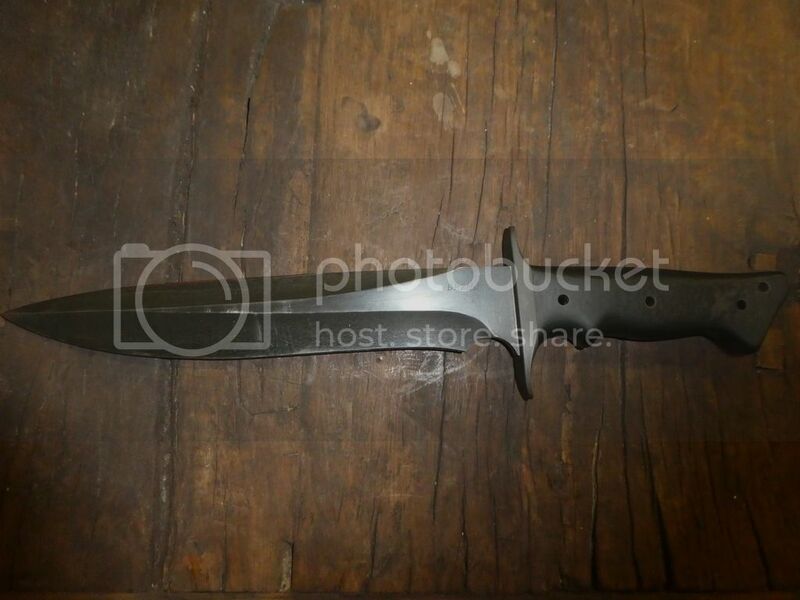 Nice knife. You are a dog-gone good photographer. Damn Andy, you just cost me $155. I've always heard there's nothing like a new mistress! Their Forsaken don't you know. Beautiful knives, and great pictures! Walter Brend 10" Model 2 built in 1987. 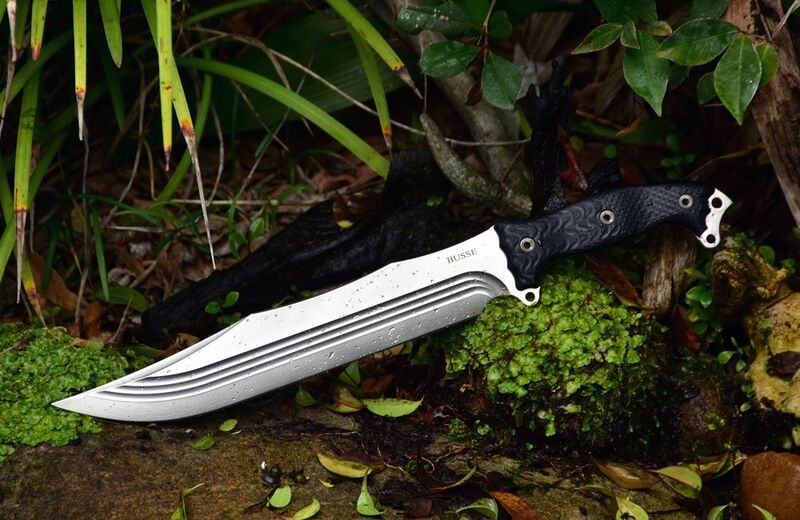 Lile Rambo knives of the same era stand out in a crowd but a Brend knife stands out in a more subtle way and a whole lot more tougher with a full tang and 5/16 thickness to it's hollow ground spine and sharpened false edge. The choil turns the large blade into a paring knife for fine work. Brend are fine knives (and worth some $s as well) !!! You see very few of them ! Nice Andy, knife and pictures! Sure beats the hell out of my old AK bayonet I picked up a long, long time ago in a far off land. But it still works, so just going to keep it. The large one in the picture, is it a custom order/design????? Busse is one tough knife too. First time I have seen that model. 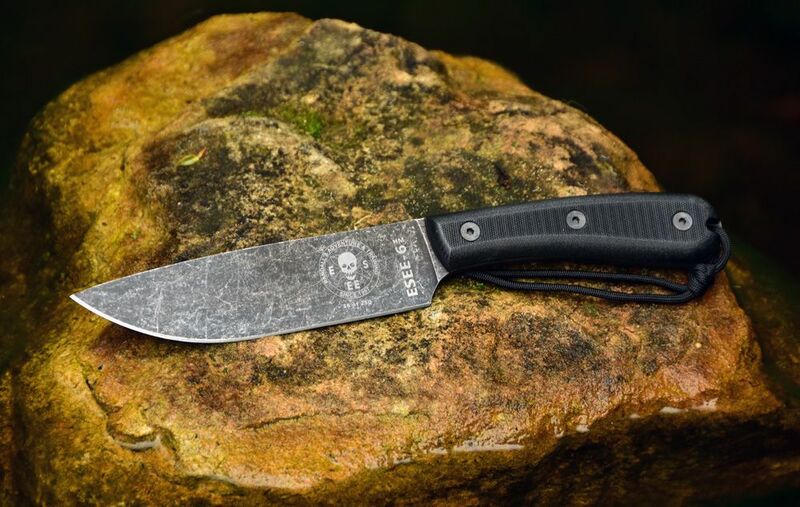 Forged in Fire and Knife or Death has brought a lot of deserved interest in knives. One of mans oldest tools. .... thanks Mate The Busse's present sales model is to put a design up for pre-order, normally it's available for less than a week (depending on the resources allocated to it). When you order you are charged $1US as holding deposit if you will. It may take 6-9 months for the knife to be finished, you are charged @ a week before it is ready to ship.